Huddah Monroe, a social media personality, became famous for famous reality TV Show, Big Brother Africa 8, even though she did not win it. She is famously known as ‘huddahthebosschick’ on her Instagram account with more than 1.3 million followers. In her social media accounts, she continually updates about her lifestyle and makeup products. Huddah is also the owner of the cosmetic store named Huddah Store. Huddah was born in Eastleigh, Nairobi, Kenya on 10th October 1993 as Alhuda Njoroge. She is of Kenyan nationality, and her birth sign is Libra. She attended her highs school in Kajioda Hills Girls Academy. Huddah went through a harsh childhood as her father died when she was young. Soon after, she left her home and ran away from her family to live on her own. Huddah went through a harsh childhood as her father died and soon after her mother married another man. She started modeling as a freelancer after she began living on her own and termed herself as, “The Boss Lady.” She is one of the young wealthiest persons of Kenya as she has got 10 acres of land where she grows several kinds of crops. 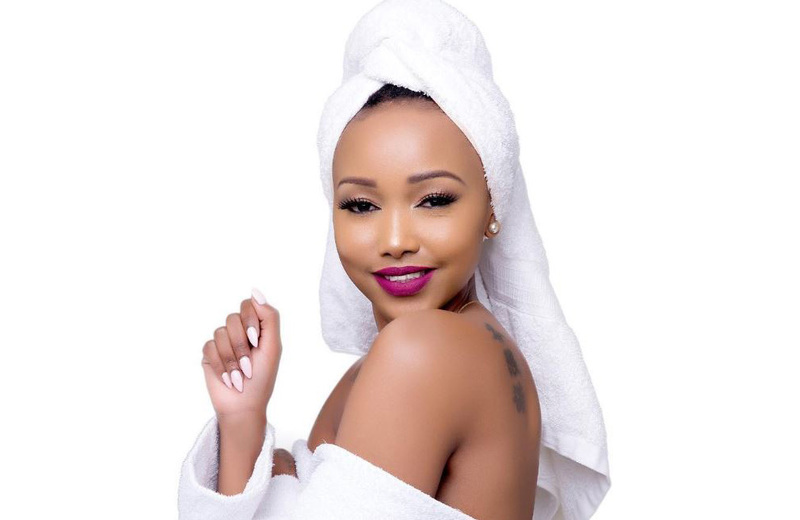 Besides her business as a farmer, Huddah is also a brand ambassador for a beauty product company, BrightenMi. The company chose her as their ambassador because she knows the importance of having healthy skin. Over the years, Huddah has owned multiple cars, houses and even built a home for her mother. With all these, she has amassed around $3 million. Huddah is one of the gorgeous Instagram personality from Africa with over 1.3 million fans on Instagram. As a celebrity, fans are often curious about their star’s love life. However, Huddah is quite secretive about her love life as she is not seen posing with her boyfriend in her Instagram. Over the years, Huddah went through a lot and confessed about being addicted to drugs and needed to go to rehab. She also admitted about being a bisexual as the streets of Kenya taught her to be with men and women. However, there are rumors of her dating her close friend, Prezzo but Huddah refers to him as her best buddy and her mentor who helped her in her difficult times. Huddah has been through some difficult times, a harsh childhood and accused of being immoral after posing nudes in Social Media. However, she confronted about the matter, and it was just for the professional purpose. With all of this, Huddah is in a stable relationship with her boyfriend who understands her and respects her work. Huddah grew up in Huruma state in Nairobi. As a kid, she lived with mother and her stepfather with four stepbrothers. However, she could not stay with her family for long because of the violence she had to get through. At a young age, she ran away from her home and started living on her own. As seen from her Instagram profile, Huddah has got a perfect figure with decent height and flaunts her tattoos in her body. She looks even mesmerizing in her bikini avatars.